PAYMENT POLICY: All reservations and registration must be guaranteed with a valid major credit/debit card. We accept Visa, Master Card ,and American Express. Pursuant to credit card agreements, credit/debit cards are not valid unless signed by the cardholder. Credit cards must be signed. Cash payment is welcomed with a signed and pre-authorized credit card. All guests are required to present a valid major credit card and government issued photo identification even if guests are planning on paying in cash upon check-out. Checks and foreign currency not accepted. CANCELLATION POLICY: Reservations must be cancelled 7 days, prior to your arrival date, in order to avoid cancellation fees. Reservations will be held until 18:00 hrs PHT of your scheduled arrival date. If you have not checked in by that time, a NO-SHOW charge of one room night, plus tax will be charged to your credit credit/debit card or VCC and the balance of your reservations will be cancelled. 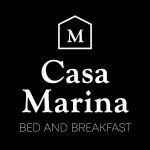 Casa Marina Bed and Breakfast is not responsible for weather conditions, personal emergencies, or schedule changes. GROUP RESERVATIONS: Large group/Block reservations must be cancelled 14 days prior to arrival date. Reservations cancelled after that date will be charged cancellation fees. NO PET POLICY Casa Marina Bed and Breakfast has a ‘No Pets’ policy, with exceptions for guests with special needs who require service dogs such as seeing eye dogs, alert dogs for the deaf, and companion dogs for the disabled. EARLY CHECK-IN/PRE-REGISTRATION:Early check-in is offered based on availability. If you require check-in prior to 14:00 hrs PHT, please contact Front Desk staff directly to make arrangements. BOOKING REQUIREMENTS: Guests must be at least 18 years of age to Book an accommodation at Casa Marina Bed and Breakfast and shall be required to show proof of identification (driver’s license, passport, etc). A valid, signed, and pre-approved credit/debit card or VCC in the name of the guest registration is also required. GUEST REGISTRATION: We require valid contact information from the both guests making the reservations including first and last name, address, phone number, and signature. The names of all guests occupying the room must be registered. Information regarding your license plate/car description is also gathered at check-in for security. CHECK-OUT TIME: Room rental period expires at 12:00 hrs PHT. Additional day charge, plus tax will apply for late checkout. CHECK-OUT PROCEDURE: Check-out time is 12:00 hrs PHT. Please check-out with Front Desk so that housekeeping may begin cleaning your room as soon as possible. If you require a later check-out, please contact Front Desk prior to the day of your departure and we will do our best to accommodate your request. A charge may apply for late check-out. EARLY DEPARTURE: Early checkout before departure date will be charged 100% of the remaining balance, plus tax. It is understood that you have read and accept the terms and conditions as stated on our website. Please deposit the payment to any of the following Banks. Please email a copy of the deposit slip or transfer slip to reservation@casamarina.ph. You may also call +63.999.6939218 / +63.966.4466683 / +639178388852 (After 19:00PST) to confirm your booking. You may also settle through Credit Card with Paypal. Please speak to our Front Office Staff about this. The property is a heritage home renovated to include modern conveniences. Great care was taken to ensure the home stayed true to the original. Wood from the old house were painstakingly rescued and those that cannot be reused were re purposed into furniture, shelves, flooring and paneling. Even the old furniture such as the Console TV, Tube Radio's, Living and Dining Sets and Cabinets were kept and refurbished. The result is a well appointed, vintage home complete with all the modern amenities to make your stay convenient and memorable. Guests will have access to the entire house and all its furniture. Casa Marina has a book library, board games, vinyl record collection and a mini display of vintage items. Everything is yours to enjoy. We just ask that care be taken so that others may appreciate them too. Central to Casa Marina is The Bell Tower, an al fresco restaurant where you can have your meals. We serve Spanish, Filipino and Continental fare to guests and visitors. The Bell Tower has a great view of the famous Pagsanjan River and leads down into the sunken garden. The sunken garden is equipped with a barbecue grill and fire pit. Great for outdoor get together, campfire songs and marshmallow roasts. We do offer outdoor barbecue on occasion so do ask us about the schedules.